Mike Woods, a member of 2004 Ping National Clubfitter of the Year Haggin Oaks golf staff, is the PGA head professional at Haggin Oaks Golf Complex in Sacramento, California. In the northern part of the state, Haggin Oaks Golf Complex in Sacramento, California, has taken advantage of the large Millennial audience it attracted with its “24-hour range” by holding sidewalk sales adjacent to the practice area. 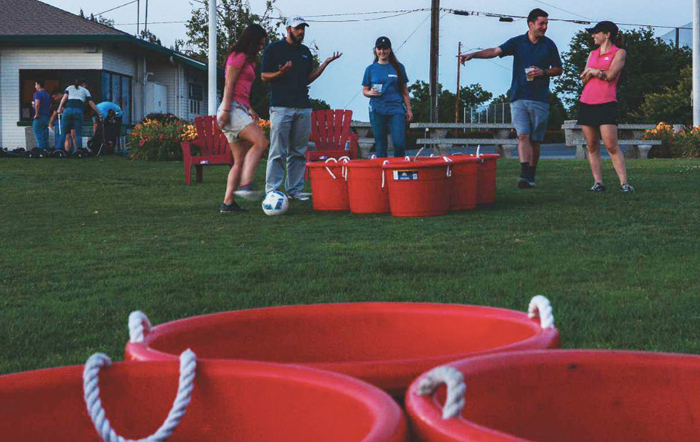 In addition to soccer ball beer pong, the events are stocked with a selection of trade-ins, which are priced according to the PGA Tade-In Value Guide and marked at a 40 percent margin. These range nights were promoted via social media and email blasts, but Haggin Oaks relied mostly on the heavy Millennial audience found on the range in the evenings- with the two events bringing in about $4,000 in total revenue.